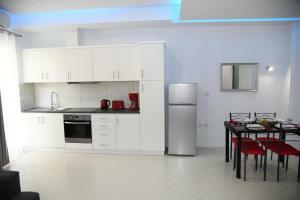 An amazing apartment at the city center. Ideal for family with kids or a couple Everything you need is near the apartment(coffee,restaurants,breakfast,transport,grocery shop etc.) Great communication with the owner. Definitely recommended. 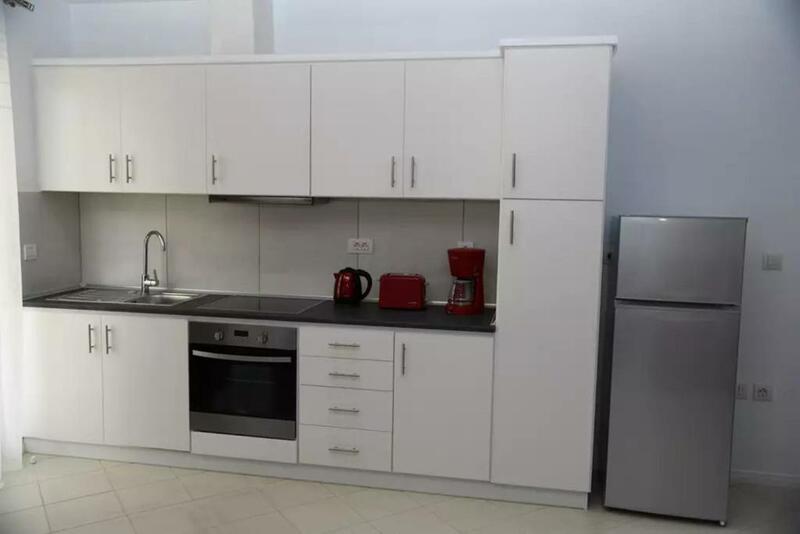 The apartment is very modern and spacious Communication with the owner is outstanding Amazing location with breakfast,cafeterias,restaurants etc near the apartment Public transport is just a block away All the interesting and worthwhile sightseeing are near. Definitely an amazing apartment for a family. 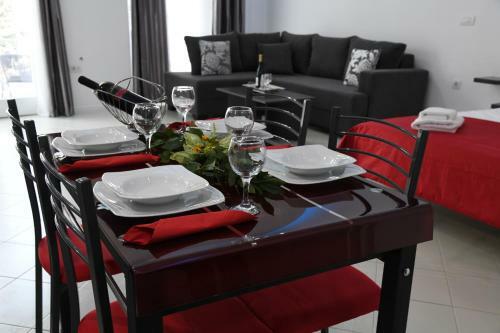 Ideally located for day trips, shopping, eating. Exceptionally clean and practically equipped. Anytime again. 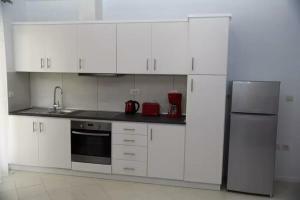 Excellent modern apartment with everything we need in the heart of city center. Great location near buses,restaurants,cafe,market ,beach and old town! Very very clean and comfortable!The wifi is very good. We had a perfect communication with the friendly and polite hostess. Great value for money.Hope to stay here again!Definately recomended!!! Asunto oli todella siisti ja viihtyisä. Majoittajat ohjasivat jo aiemmin s-postilla sijainnin. Perillä ollessa ei heti löydetty paikkaa, niin soitimme ja he tulivat meitä vastaan keskustaan! Todella ystävällistä! Lisäksi heihin pystyi olemaan koko ajan s-postilla yhteydessä jos jtn tarvitsi. Myös huoneen luovuttaminen oli sovittavissa, pystyimme pitämään tavaroita hieman myöhemmin asunnolla huoneen luovuttamisen jälkeen. Kiitos! Olimme todella tyytyväisiä! Εξαιρετικό! Η θέση του ήταν τέλεια ακριβώς στο κέντρο της πόλης δίπλα σε αγορά ,καφέ .εστιατόρια .λιμάνι ,σταθμό λεωφορείων Παλιά Πόλη και άλλα αξιοθεατα. Πάρα πολύ καθαρό, μοντέρνο και άνετο.Πλήρως εξοπλισμένο.Τα πάντα στο διαμέρισμα ήταν καινούργια. Το wifi πολύ καλό.Η ιδιοκτήτρια πολύ ευγενική και εξυπηρετική. Αριστα με τόνο. Το συνιστώ ανεπιφύλακτα!!! Άψογη εξυπηρέτηση. Πολυ καλη ιδιοκτήτρια. Ολα πεντακαθαρα απο το δωμάτιο μεχρι και τα σκευη. Τέλεια τοποθεσια καλύτερη δεν γίνεται για την Ρόδο. Πολυ καλη τιμή που τα περιλαμβάνει ολα. Καινούριο διαμέρισμα και μοντέρνο. 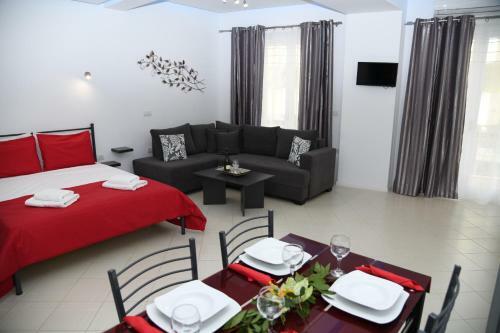 Lock in a great price for Aurora Luxury Studio – rated 9.9 by recent guests! One of our best sellers in Rhodes! 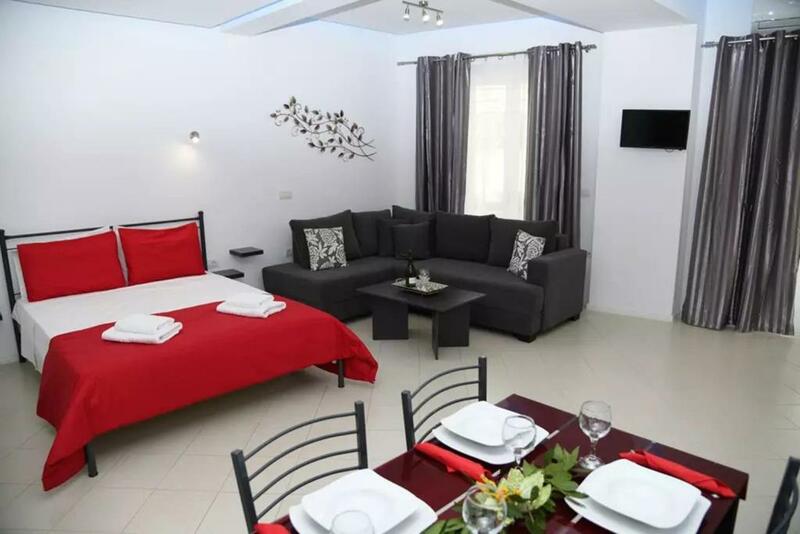 Aurora Luxury Studio is located in Rhodes, a 3-minute walk from Grand Master's Palace, 900 feet from The Street of Knights, as well as a 5-minute walk from Mandraki Port. Guests can enjoy free WiFi. 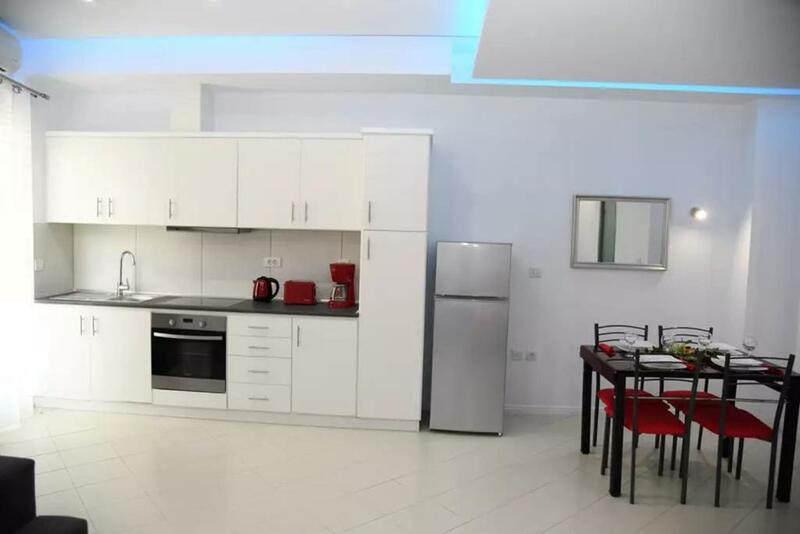 This air-conditioned apartment comes with a bathroom with a shower and free toiletries. A flat-screen TV is provided. Clock Tower is 1,500 feet from Aurora Luxury Studio. Diagoras Airport is 9 miles from the property. When would you like to stay at Aurora Luxury Studio? City Heart Luxury Studios wish you a wonderful year full of happy moments and many trips.The castle of the knights and the old town is 300 meters from the accommodation, the beach. Another 300 meters and the harbor 500 meters. The central bus station 100 meters, while the airport is 14 kilometers away. The neighborhood is cosmopolitan, with courteous neighbors and above all willing to help any visitor. The Knights' Castle and Old Town are 300 meters away from the accommodation, Elli Beach 300 meters away and the harbor 500 meters away. The central bus station is 100 m away while the airport is 14 km away. House Rules Aurora Luxury Studio takes special requests – add in the next step! Please inform Aurora Luxury Studio of your expected arrival time in advance. You can use the Special Requests box when booking, or contact the property directly using the contact details in your confirmation.